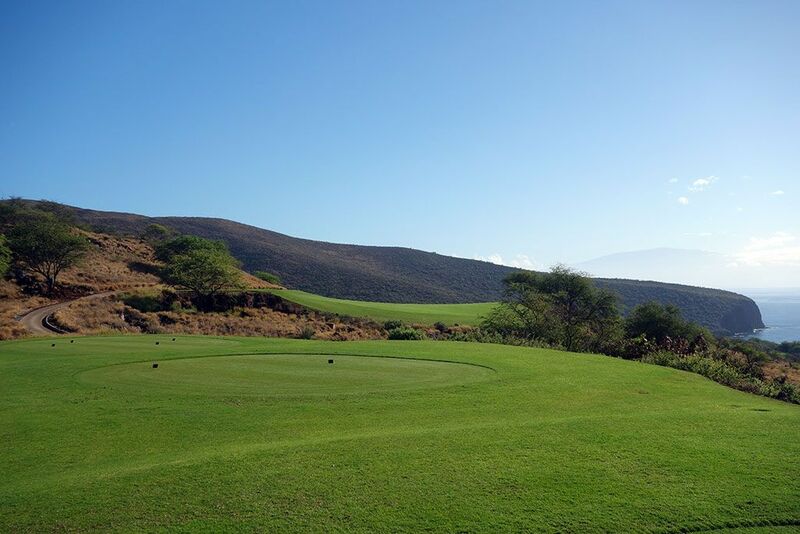 Course Website: Official Website - Visit Manele Golf Course's official website by clicking on the link provided. 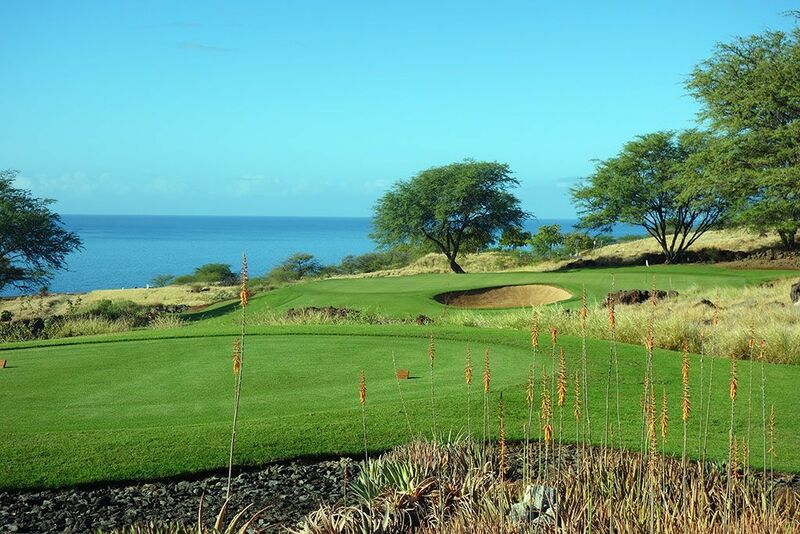 Accolades: Ranked 2nd in Hawaii on Golf Course Gurus' Best in State list. What to Expect: Wow! 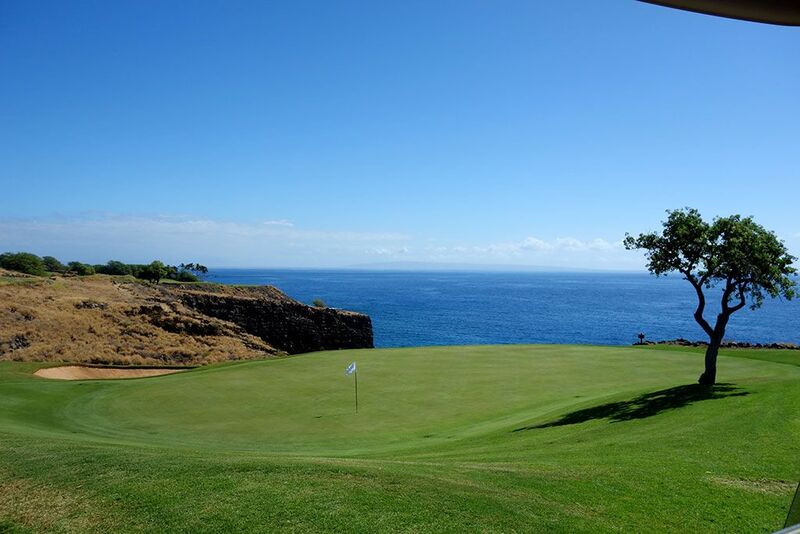 What to expect at Manele? How about the finest golf experience of your life! I've been fortunate to have some phenomenal golf experiences but I'll put Manele up against any of them. It starts with an early morning ferry ride from Maui to Lanai where you get an hour to relax and and enjoy the ocean vistas. Upon arrival on the island that just over 3,000 people call home, you are greeted by a Four Seasons staff member waiting to take you and your clubs on a Mercedes-Benz Sprinter for a five minute ride to the course. Additional staff members wait to greet you with a smile at the doors of the clubhouse offering their desire to be of assistance in any way they can be for the day. 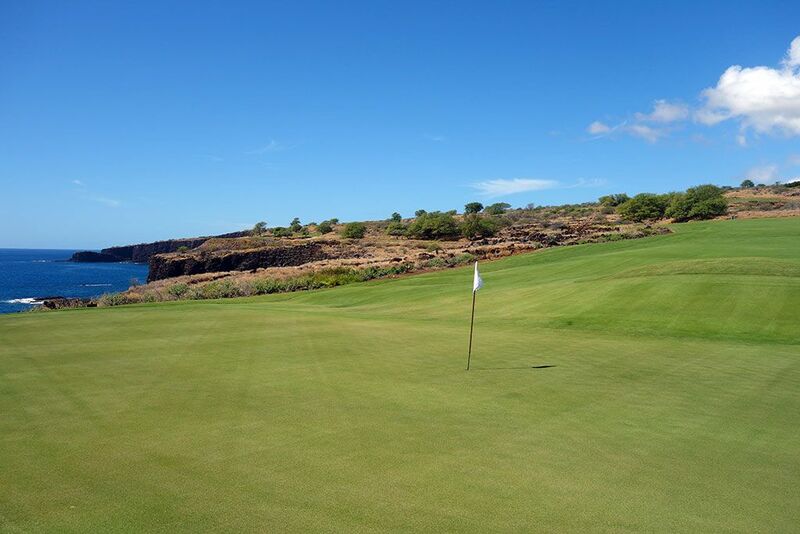 The pro shop and restaurant capture panoramic views of the ocean and cliffs below Manele while the locker room features beautiful wood finishes and shower facilities to utilize during your visit. From the moment you step onto the driving range you know your senses are in for a treat as your eyes take in the scenery, your nose takes in fresh air, and your hands and feet feel the manicured turf. 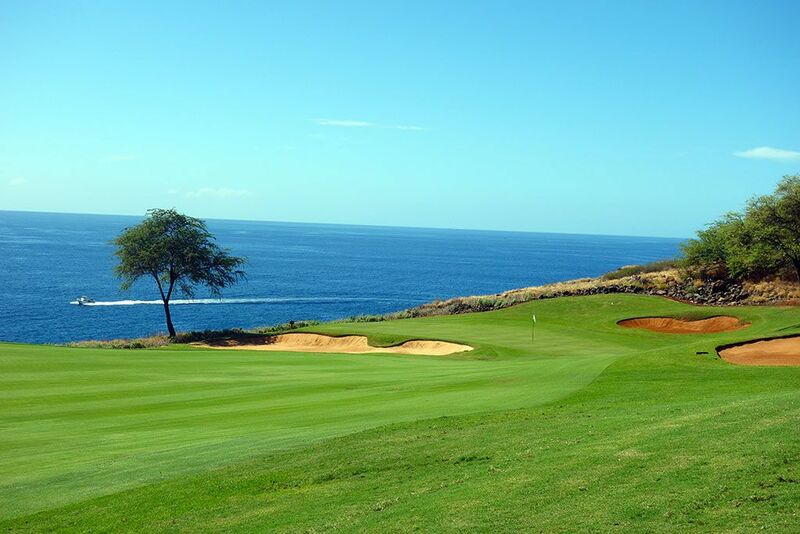 My hat goes off to the course superintendent that maintains the seashore paspalum grass to a meticulous level that is unrivaled among the courses I've visited in Hawaii. 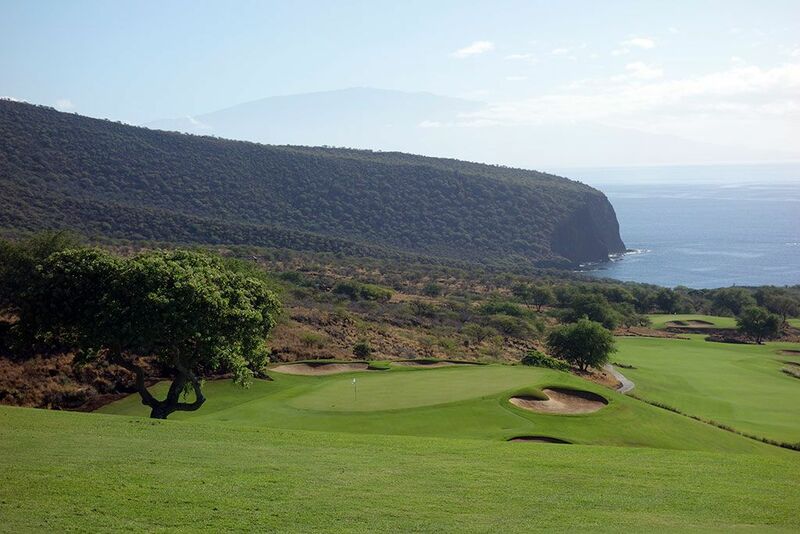 I can honestly say there wasn't one thing I would want different from a course conditioning level then what I found at Manele; it was perfect. 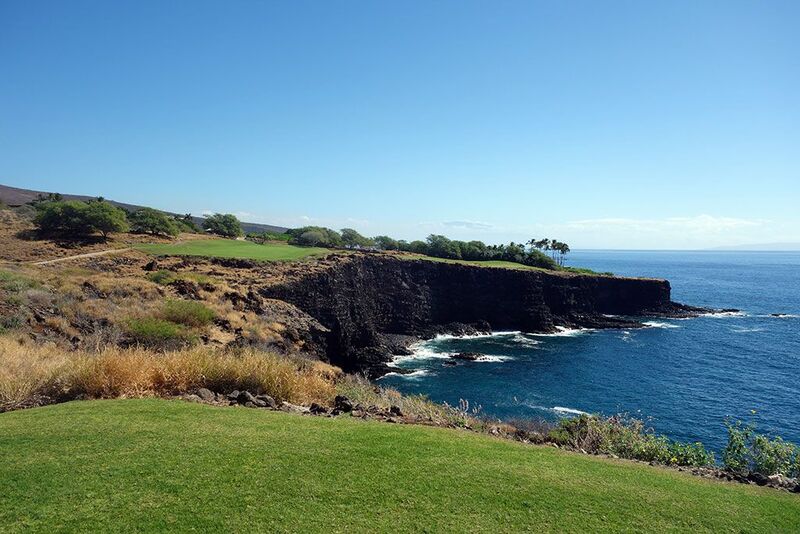 There are views of the ocean from all 18 holes, and not just a sliver of a view here and there; commanding views that stretch for miles across the glistening blue ocean and dark lava rock cliffs. 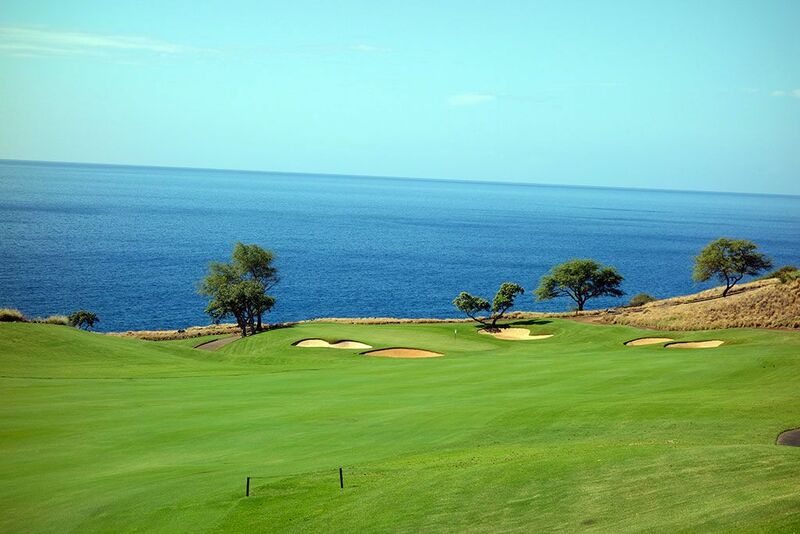 Most patrons to Hawaii want a chance to play along the ocean and have stunning views and no course in the islands has captured that request better than Manele. While many people will focus on the 12th and 17th holes, Nicklaus did a great job of creating numerous memorable designs throughout the layout so that the course has more substance than just beauty. How good is the 12th hole? Good enough that Bill Gates decided to get married there and we all know that Bill Gates could get married anywhere he wanted in the world. The routing isn't suitable for walking and doesn't flow all that well since the goal of the course was to capitalize on views and creating stunning holes rather than generating a well connected routing. 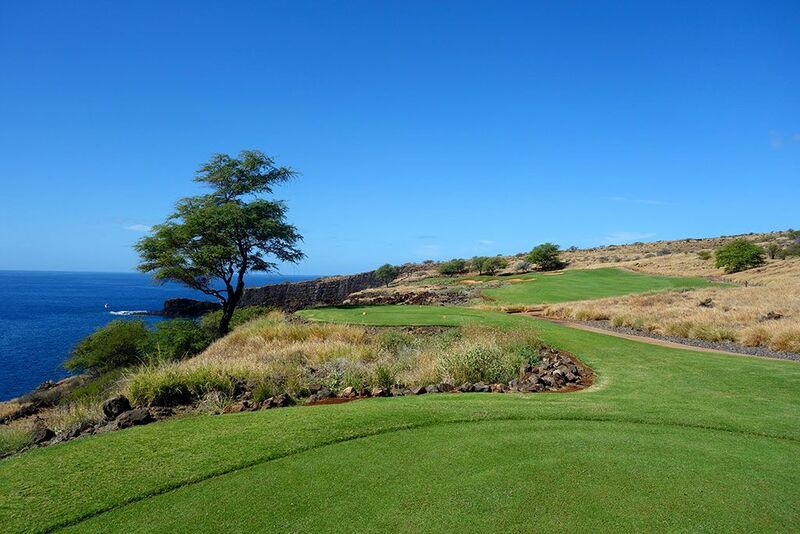 Bottom line, Manele is a must play for anyone visiting Hawaii and in particular Maui. Signature Hole: 12th Hole – 202 Yard Par 3 – Simply one of the most breathtaking golf holes you will ever encounter. I'm amazed that this hole isn't more well known across the world because it is a jaw dropper. Experiencing the views, challenge, and design of this hole should make every serious golfer's bucket list. From the tips the hole requires nearly 190 yards of carry to clear the ocean and cliffs while the shorter boxes take less carry and easier access to the layup area on the right side of the hole that can also kick balls onto the putting surface. It is no exaggeration to rank this hole up there with Cypress Point's 16th and Pine Valley's 5th as one of the best par threes in the world. As a side note, this stunning tee box was the site of Bill Gates' marriage. Best Par 3: 3rd Hole – 171 Yards – #3 is a short hole with a bunker fronting the center of the green with native surrounding the complex. Trees frame the right side and ocean views captivate the eye from the left. This postcard hole is a nice little appetizer before playing the all-world 12th hole. Best Par 4: 17th Hole – 444 Yards – Manele lays claim to two of the most stunning holes not only in Hawaii but in all the world; the ocean/cliff side 12th and 17th. 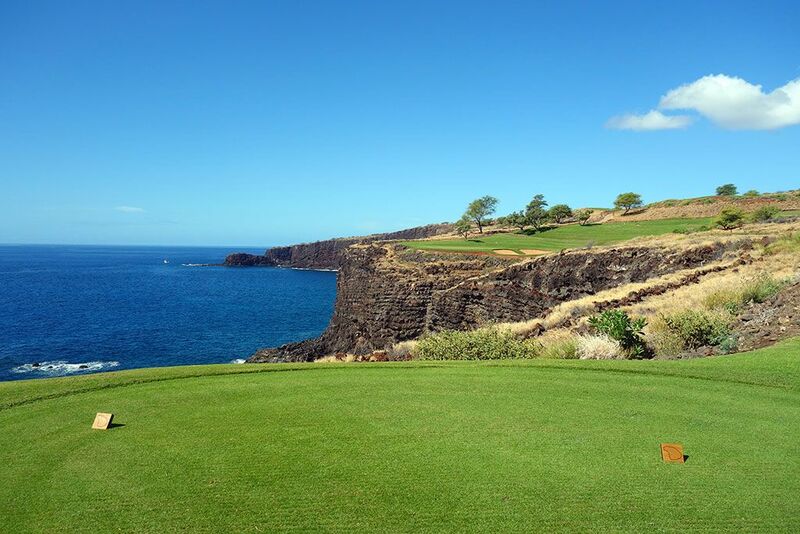 The two-shot 17th is a strong dogleg right that follows the natural contour of the large lava rock wall that separates land from sea and tumbles steadily down to the greensite. The more of the ocean you are willing to challenge, the greater the reward on the approach shot. A high lipped bunker sits out in front of the green and disguises the slope that rolls down and then back up to the putting surface. An aerial shot is best into this green, however the ground game can be utilized if the slope in front of the green is properly judged and is best contended from the left side. This hole deserves a spot next to the 17th at Cypress Point and the 8th at Pebble Beach as one of the finest ocean-side par fours in the world. Best Par 5: 11th Hole – 589 Yards – More ocean views and big contours come into play on the impressive 11th hole. This long par five can boost your ego given how far downhill the hole plays, particularly during the second half of the hole where players will have a chance to take a rip at reaching the putting surface in two. The green features three surrounding bunkers with an opening being afforded from the right side while two additional bunkers sit off the green and can catch balls that are flared a bit when attacking from the right. This beautiful hole tumbles naturally towards the ocean and boast an inspiring setting. 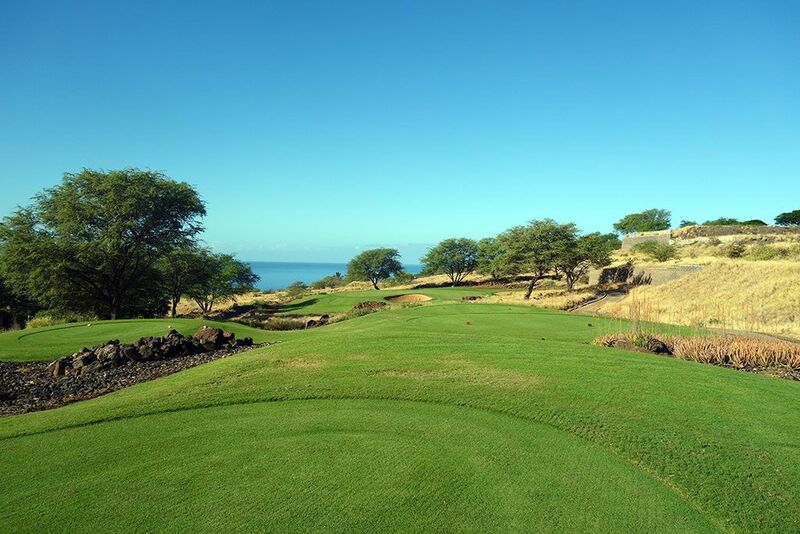 Birdie Time: 13th Hole – 345 Yard Par 4 – The 13th is a short par four (345 tips, 279 whites) that plays over lava rock before doglegging back to the left towards the ocean. An expansive bunker protects 80% of the green with the other 20% being an opening on the right where balls can be tumbled in off the adjacent slope. This short two-shorter is a great opportunity to get your approach shot close and convert a birdie. Bogey Beware: 5th Hole – 462 Yard Par 4 – #5 is one of the most unique designs on the property with players afforded a view of the top of a saddle fairway but little idea of what lies beyond the crest in the landing zone. Upon cresting the hill players see the fairway coming to an end before cascading down to a green a good 50 feet below. Grass runs the entire length of the hole, so long bombers that can hit their drive beyond the fairway will still be afforded a downhill lie from mid-length grass. The approach shot is beautiful being perched high above the green with the ocean waves crashing in the distance.